CZ 99 is a double-misnomer. 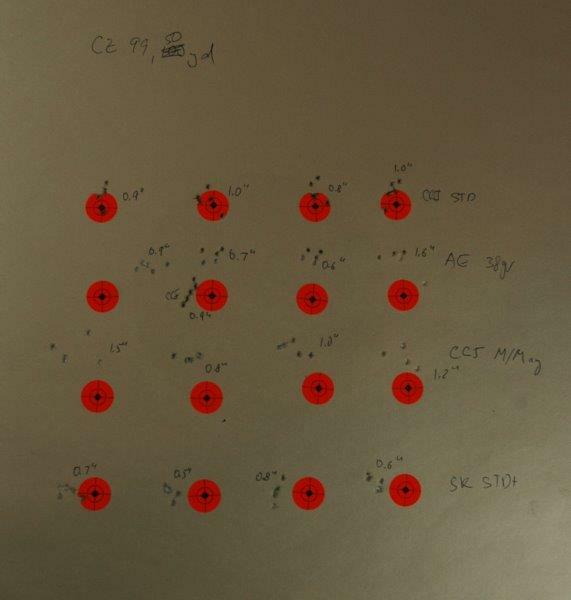 When hearing the term CZ in connection with firearms, one usually assumes that it is a product of famous Česká Zbrojovka, the Czech firearms factory that makes such wonders of modern gunsmithing as CZ 75 pistol or CZ 452 rimfire rifle. Not so. In this case CZ stands for Crvena Zastava, a Serbian arms manufacturer. But it gets worse. While Zastava is probably best known for its Mauser rifles and M57 Tokarev clones, it has another weapon that is known as CZ-99 - which is a clone of famous Sig P226 pistol. 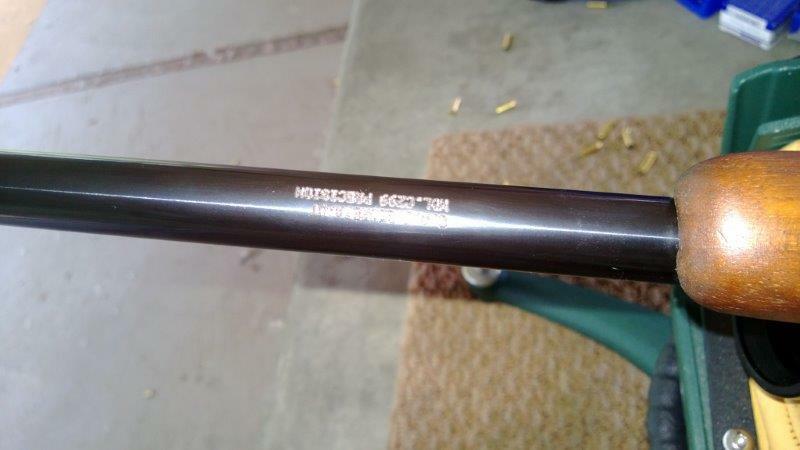 So, understandably, when I saw CZ-99 name in a distributor's rimfire rifles section, I was surprised. Then intrigued. 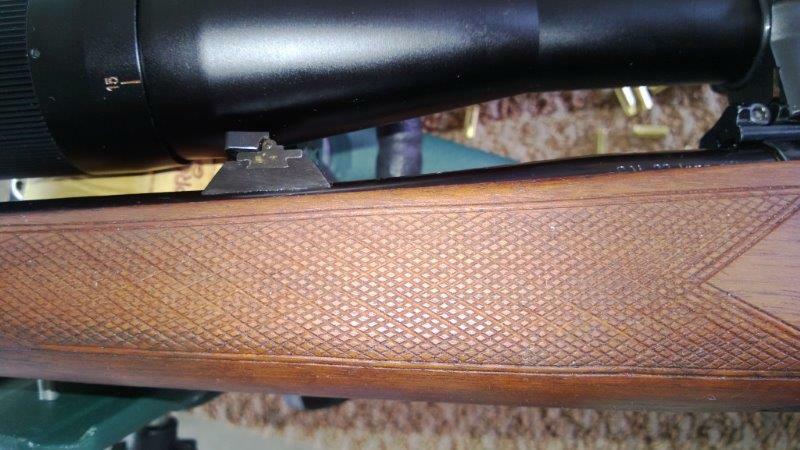 It was bid as "precision" rifle, and I have a soft spot in my heart for both rimfire rifles as well as firearms made for competition. The reason I hesitated for a while was, well, Zastava itself. Serbia was in the Russian orbit for much longer than Czechoslovakia, and it generally shows in the quality of their products. 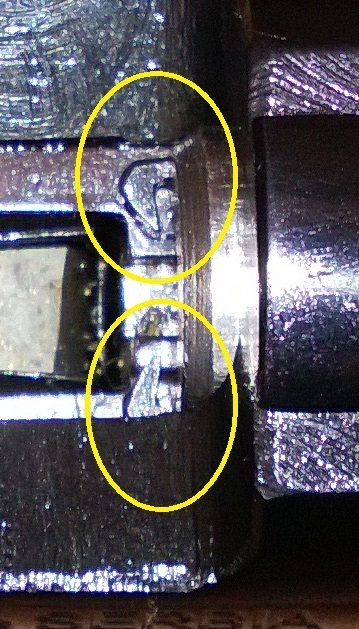 I own (and sold) a number of their firearms - M57, M70A, and CZ-99 in its pistol incarnation, and while all of them function well, the quality is very uneven. 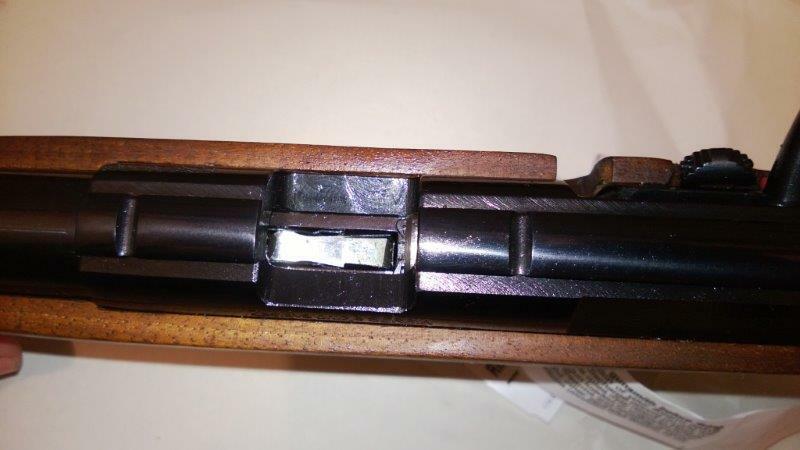 It is always the little things - a magazine might not be ejecting and needs to be pulled out, sights not centered and need to be drifted, et cetera. The firearms come packaged in cardboard boxes that have the authentic look and feel of 1970-style Soviet products. Over the years I accumulated a mini-collection of modern Zastava products that aren't good enough to sell, and aren't defective enough to return back to the distributor. So they just stuck around in my safe, and I occasionally take them out shooting. They match my interests as a collector of weapons from the former Communist Block countries, which is the other reason I keep buying them. Eventually, however, the distributor announced a sale on them, and I needed to top off the order to get free shipping, so I could not abstain any more. 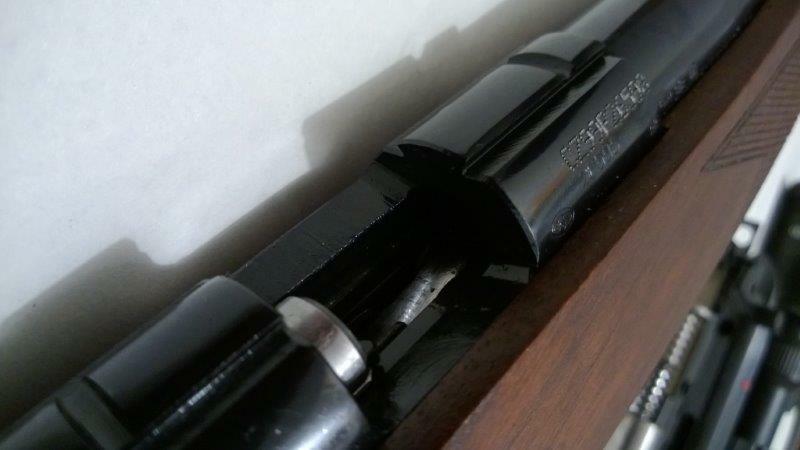 Like most of Zastava children, the rifle came in a box that might have as well been made in the good old USSR. The rifle inside the box, however, was quite beautiful. 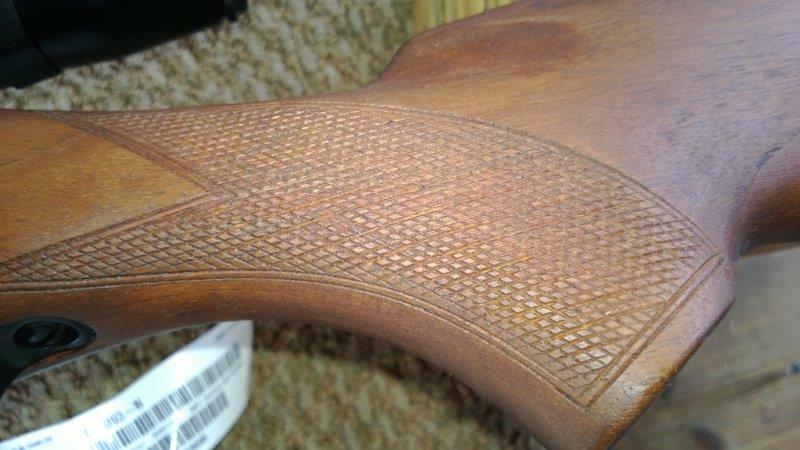 The stock was the most attractive part: beautifully checkered and stained. The metal looked very nice with its glossy finish which, unfortunately, had a patch destroyed by Century import mark. 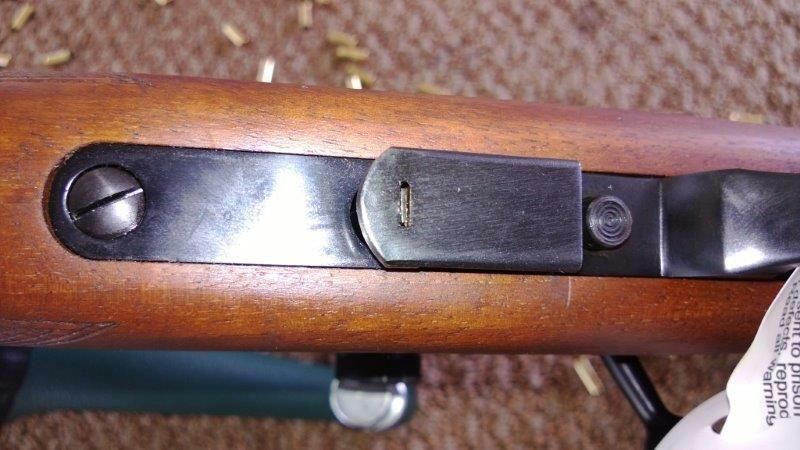 The rifle had a standard bottom magazine well, and came with two magazines: 5 and 10 round, both made from steel. 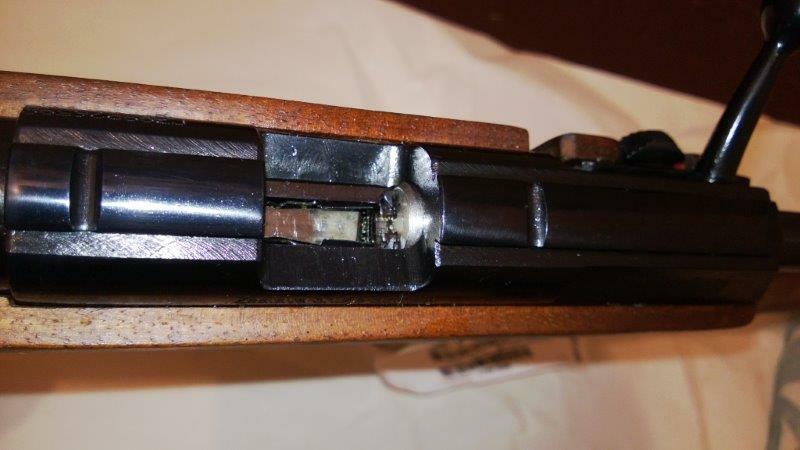 The receiver is very thick, which is uncharacteristic of rimfire firearms (but is the same in CZ 452 product line). 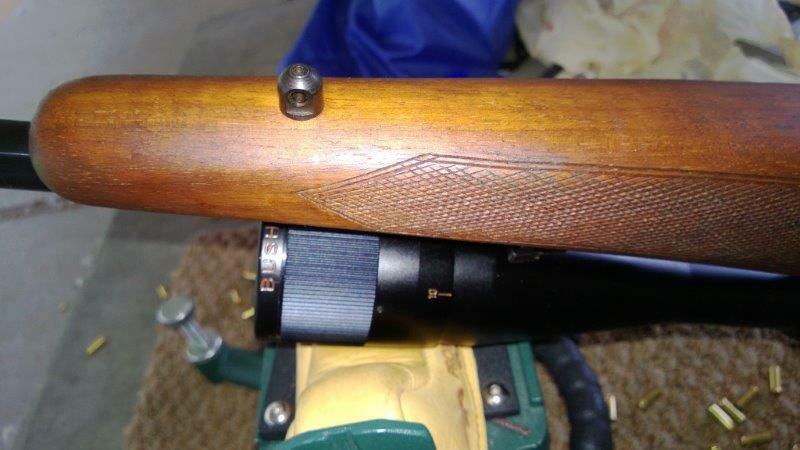 It has a standard 11mm dovetail groove cut on the top for the scope mount. The sights are very basic, and can only be adjusted with a screwdriver. I have discovered the rifle's biggest problem literally after firing the first shot: the round did not extract. The spent case came out of chamber alright, but it won't fly out unless I really ripped at the bolt handle. A quick inspection have revealed the problem instantly. Can you spot it? The bolt's right and left extractors are the same - they are both hooks! 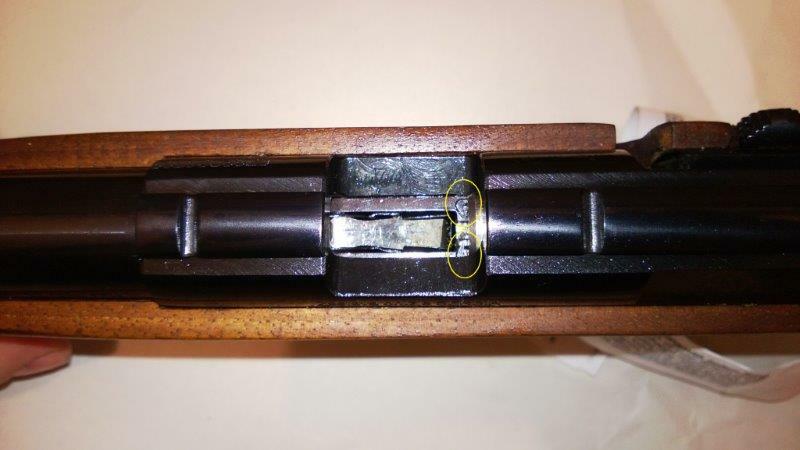 There is a reason why on most rimfire rifles left and right extractors are different - the right has a hook, and the left has a triangular thingy that pulls the case out of the chamber but yields easily when the case runs into a stop in the receiver. 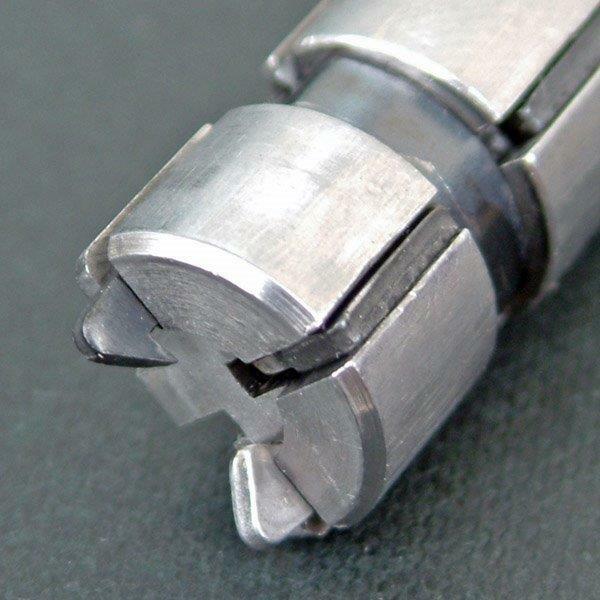 While the left side lets go, the hook on the right side still grips the rim which causes the case to turn and eject to the right. Unfortunately in this rifle both sides grip the case tightly, and you have to pull very hard and very fast for the case to disengage. 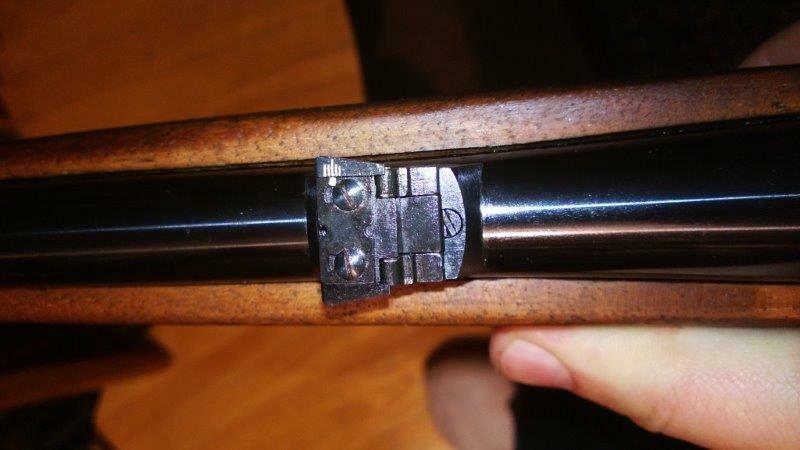 This is not a minor inconvenience, the effort required is so heavy that it interferes with ability to shoot the rifle accurately: the rest gets shifted and shooter's position is all messed up just after extracting a single case. 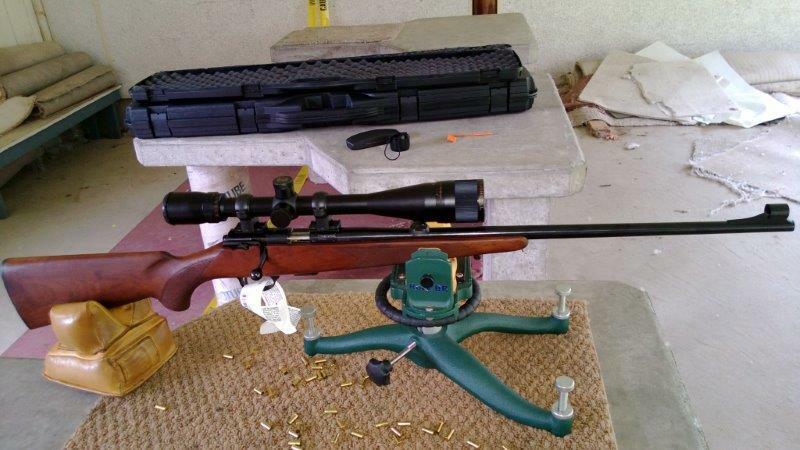 Despite this problem I managed to shoot this rifle using a whole bunch of ammunition. 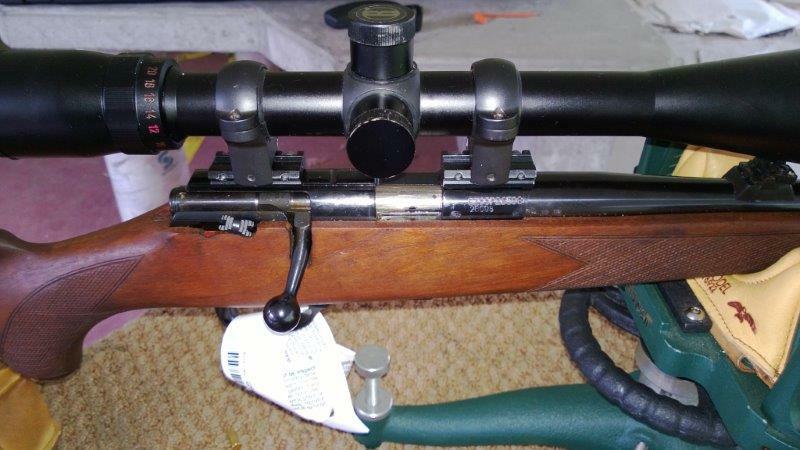 The scope was Bushnell Banner 6-18x50 mounted in Burris Signature Zee rings with 20MOA inserts. 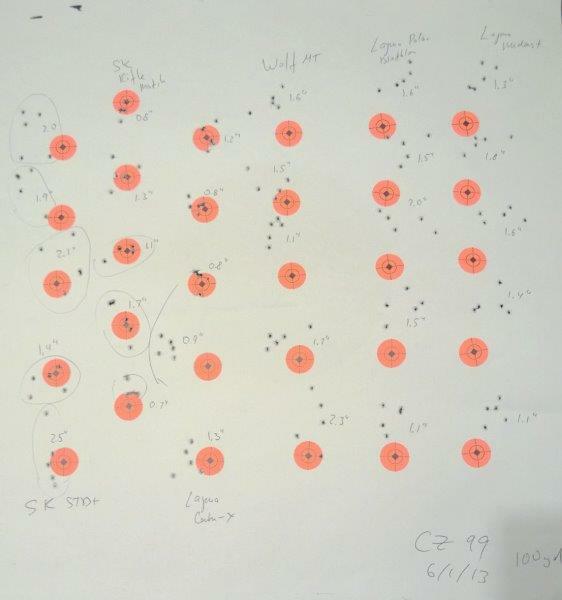 ...I took the rifle to 100yd lane using decent ammunition. As it turns out, precision-wise, the rifle is decent. 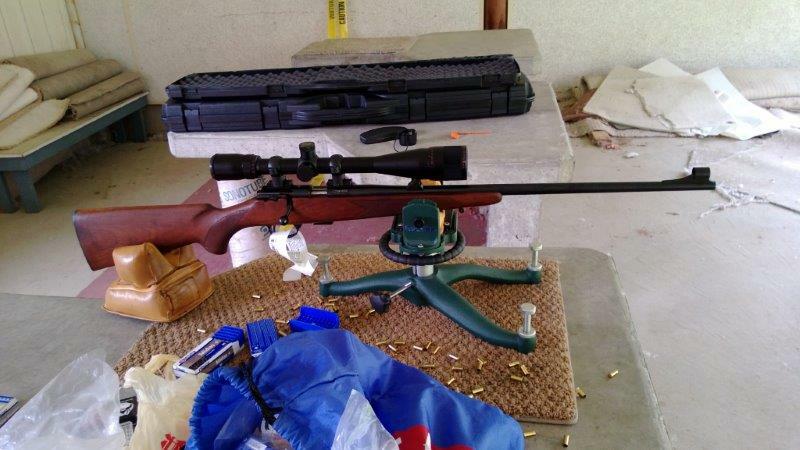 It shot Lapua Center-X about as well as CZ 452 Military Trainer has shot the much more expensive Lapua Midas Plus, and it shot SK Rifle Match as well as CZ 452 has shot much more expensive Federal Ultramatch and various Eley ammunition. 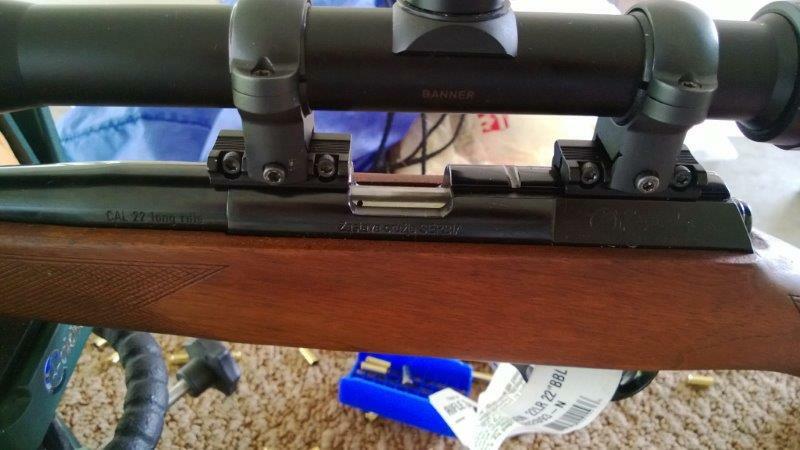 I like the accuracy of this rifle, but I do not recommend that you buy it: the extraction problem is just too bad. Having to realign your entire shooting setup after every round makes shooting into a chore. 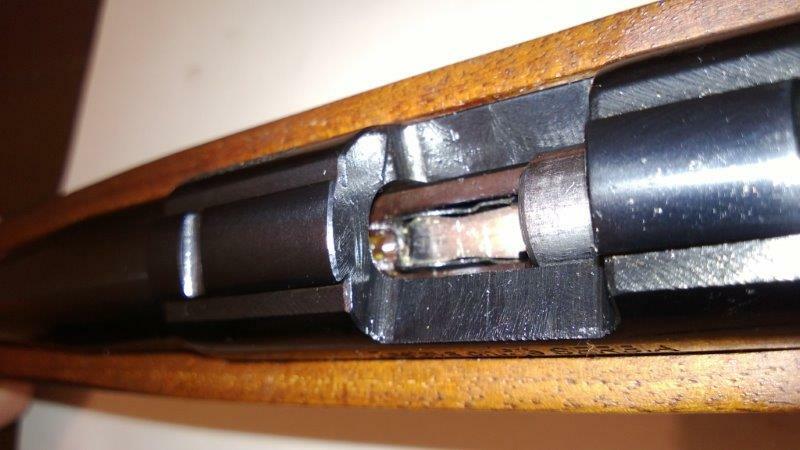 The fix should be super straightforward - simply replacing the left receiver hook with the design that every other rimfire rifle uses. But until this happens, stay away! 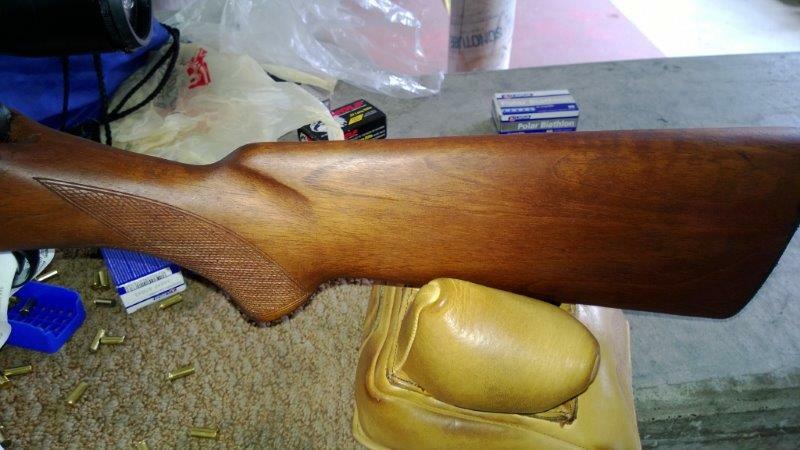 This also means that you should be very cautious when purchasing this rifle on the Internet - ascertain the shape of the left extractor before handing over the money. Even when they fix this problem there still will be plenty of older models on the secondary market, and you would do well ensuring that your new acquisition is not one of them.